1. 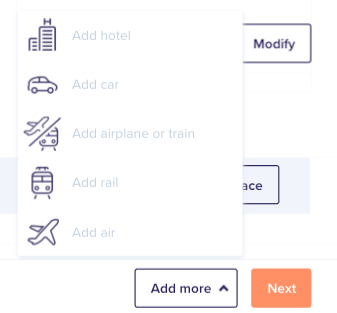 Select the Book hotel icon to start a booking a hotel room for yourself. The hotel location is indicated on the map. 6. 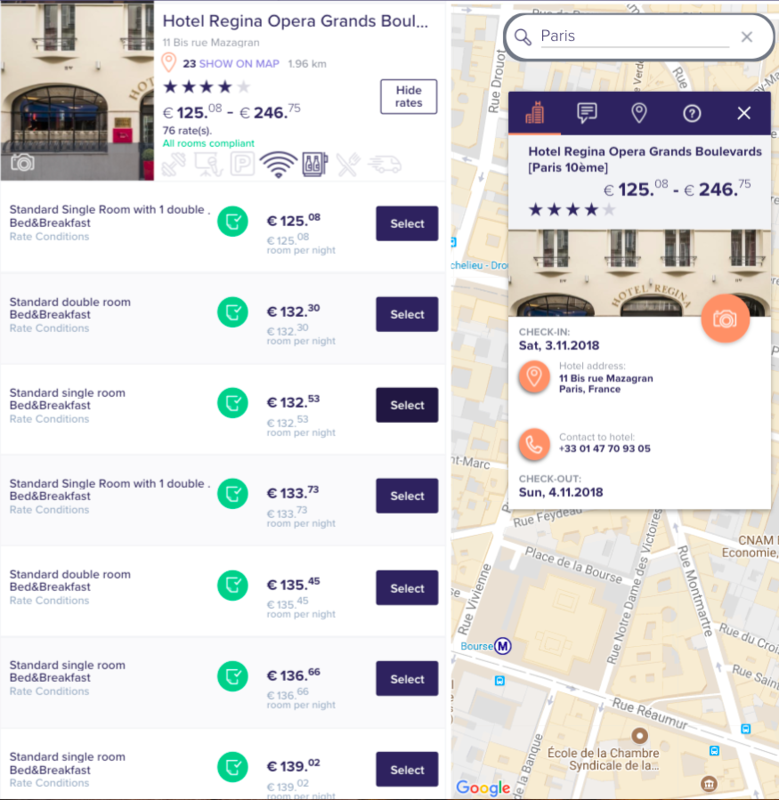 Clicking on a hotel offer, you can open a pop-up to have details about hotel, rooms, amenities and other. Press Select to choose to you would like to book.